You are what you eat and never more so than when you talking about anti ageing. You may not think of appropriate nutrition as an effective anti ageing treatment but it is more powerful than you think. Unbalanced and fad diets lead to nutritional deficiencies, low energy levels, depression and even serious illness – and definitely lead you to ageing faster. Conversely, eating a balanced diet of fresh, wholesome foods not only promotes general health but can also help you fight the signs of ageing and possibly even reverse the processes of ageing. While a balanced diet with the right proportions of carbohydrates, proteins, fats, fibre, vitamins and minerals will generally ensure a long, healthy life, there are certain foods that are high in antioxidants and other nutrients which help to slow or prevent cell degeneration and therefore ageing. For example, scientists in the United States who tested the antioxidant content of various foods discovered that there is a small group of “super foods” which have up to 20 times the antioxidant power of other foods! 1) Cruciferous Vegetables – this family of vegetables include broccoli, cauliflower, cabbage and brussel sprouts. Aside from containing a huge variety of vitamins and minerals, they are also high in phytonutrients called isothiocyanates, which research shows can increase the capacity of your liver to detoxify harmful, carcinogenic compounds. Their liver-cleansing properties also mean that they help to keep your blood flowing and your skin glowing, while also helping to fight age-related vision impairment and blindness. 2) Berries – all berries are a rich source of vitamin C and phytochemicals which help to fight disease. Blueberries, gooseberries, cranberries, strawberries and raspberries are all powerful anti ageing agents: they improve blood circulation, provide essential minerals and salts, fight cancer and are full of antioxidants which slow down the general ageing process. 3) Avocado – while avocados are high in calories, they are also high in several nutrients that promote health and fight ageing: they contain high levels of vitamin E which is vital for shining hair and smooth, glowing skin and are a huge source of fibre. Remember that the fats they contain are “good fats” - monosaturated fats which contain oleic acid that can help lower cholesterol and control diabetes. 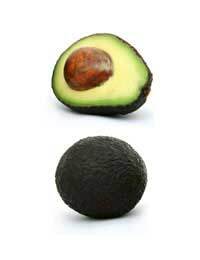 4) Nuts – again, like avocados, nuts are full of “good fats” which benefit your body and your skin. In fact, the oils in nuts and seeds help to lower cholesterol and regular nut eaters actually have lower risks of heart disease. Nuts are the best plant source of protein, if you are a vegetarian, and are also rich in antioxidants like vitamin E and selenium, as well as being high in fibre. 5) Garlic – garlic has long been held by many ancient cultures as a “super food”. It is the very ingredient (release a sulphur-bearing compound called allicin) which gives it its pungent smell and taste that also gives it its powerful anti-ageing properties. Garlic helps to prevent heart disease and stroke, lowers cholesterol and blood pressure, reduces blood clots and also helps prevents cell degeneration. It is antibacterial, anti-fungal, antiseptic and antioxidant. Unfortunately, it is also most beneficial eaten raw! 6) Fish – we all know that fish is good for you: they are a good source of lean protein and are high in omega-3 fatty acids, which not only thin the blood and prevent blood clots but also actually lower the amount of fats in the body. In fact, eating 2-3 serves of fish a week can reduce the risk of a range of diseases, from asthma to prostate cancer! And there is nothing like fish oil to keep skin looking young and supple. Fresh fish is always preferable but if you really can’t get some, then taking fish oil tablets or flax seed oil will also benefit you in the same way. 7) Wholegrains – complex carbohydrates such as found in wholegrain rice, pasta and bread, provide slow-release sugars which ensure that you have energy all day and do not crave a sugary snack at inappropriate times. Wholegrains are high in fibre, iron and vitamins and should make up a key part of your diet. 8) Ginger – ginger is fantastic for promoting good gut health, aiding digestion and generally keeping bowel movement in shape. Like garlic, it is considered a “super food” – it has strong anti-inflammatory properties and also boosts the circulatory system, while also being a mood enhancer helping to alleviate stress. It has powerful anti ageing properties and a few drops of ginger oil added to your moisturiser makes a very effective anti-ageing treatment, whilst have a home-made ginger tea daily (boiling water poured over thin slices of ginger, sweetened with honey if you wish) gives you an anti-ageing boost internally. 9) Yoghurt – yoghurt is a probiotic, which means that it contains live “good bacteria” which can help to stabilise your immune system and help prevent infection and disease. It is also rich in important minerals like calcium and potassium, as well as B vitamins. 10) Water – often overlooked and not thought of as an important “food”, in fact, water is one of the most important nutrients that our body needs. Dehydration is a major contributing factor to ageing skin. Most people are dehydrated without realising it and not only does this prevent their bodies from flushing out toxins effectively, it also makes their skin look dull, dry and old. Keeping hydrated is one of the best things you can do for your body and for your skin, ensuring a plump, supple complexion, clear, sparkling eyes and glowing cheeks. addition to these foods, maintaining a healthy body weight – in fact, even aiming for 5-10% below ideal weight – is a good anti-ageing strategy.